Have you ever experienced a blind tasting of food in the dark? Often your senses can play tricks on you and the food it not what you expect. The crew behind Dr. Oetker Australia and Scuro Ristorante surprised a number of lucky guests recently at a special ‘dining in the dark’ sensory experience hosted in Melbourne. 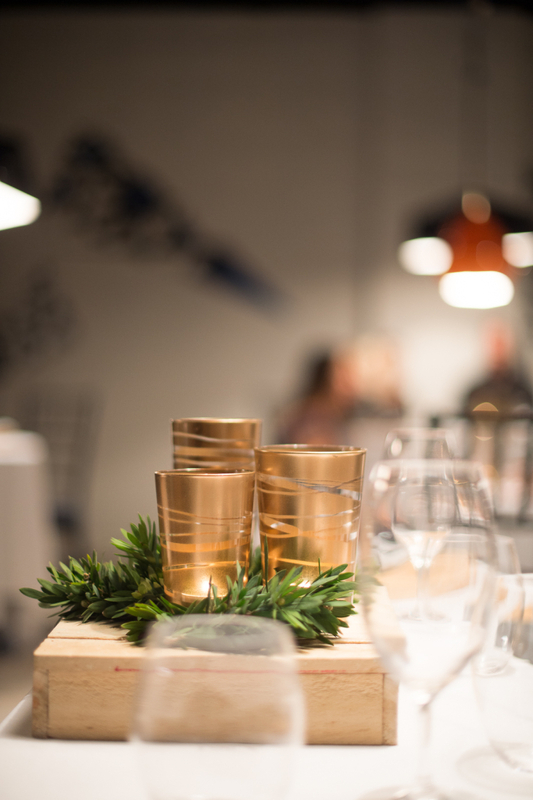 Local foodies and celebrities including Masterchef 2014 winner Brent Owens and My Kitchen Rules contestants Tresne Middleton and Carly Saunders were invited to the launch of Scuro Ristorante in a secret location in Melbourne. In typical Melbourne fashion, the special guests were lured into a dark alleyway to a secret pop-up restaurant in Melbourne. Guests were led down a mysterious walkway studded with mystical fairy lights into a nicely converted warehouse style restaurant. Upon arrival, guests were politely informed they had to give up their phones for the evening, which filled the most snap happy food bloggers with painful pangs of separation anxiety. The special guests were ushered to their tables before they received their first surprise of the evening – they were going to dine in the dark! Soon after the announcement, the lights were turned off and the fun began. To start, diners were treated to a selection of antipasto plates filled with olives, charcuterie and artichokes, washed down with wine. The waiting staff wore infrared goggles so they were able to deliver food with ease to the unsuspecting guests. The main event was a selection of pizzas, which followed by a number of oohs and aahs from the crowd which commented continually on the thin, crispy base of the pizza. Guests giggled while they fumbled with their cutlery and plates trying to find their food and wrestled with their neighbours to try to find their glass of wine. Guests were encouraged to make the most out of the unique sensory experience, by eating with their hands. Once the guests had enjoyed their fill, the lights were finally turned on and the secrecy which shrouded the evening was revealed. The chef came out and announced to the shocked guests that the gourmet pizzas they were enjoying were actually Dr. Oetker Ristorante frozen pizzas! While the unsuspecting diners were eating, the pop-up restaurant had been cleverly converted into a lounge room where casually dressed staff were heating up frozen pizza in the open plan kitchen. The event was a clever test, that abolished any preconceived perceptions of frozen pizza. 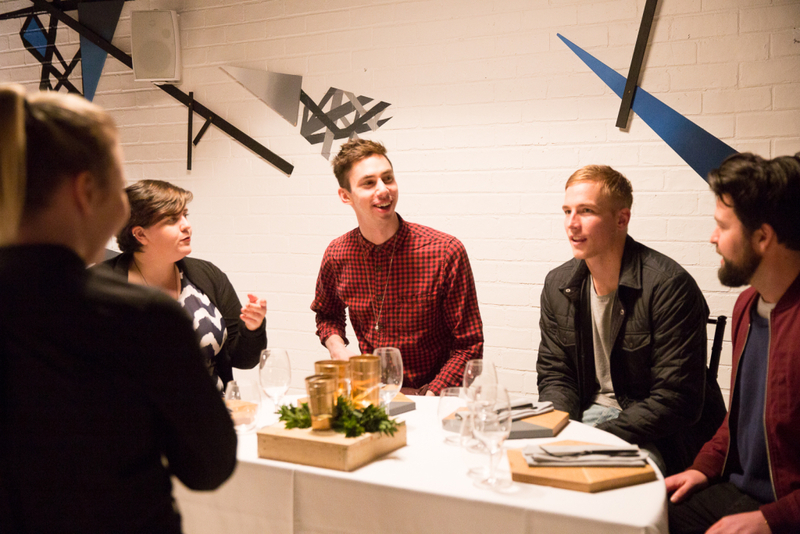 “Dining in our dark pop-up restaurant allowed people to let their taste buds do the decision-making and proved that Dr. Oetker Ristorante pizza is such a premium product that it rivals fresh, professionally cooked pizza” – Paula Wyatt, executive marketing manager at Pizza, Dr. Oetker. Who said you can’t have restaurant-quality pizza in the luxury of your own home/ I know what I will be buying next time I am in the frozen aisle of my local supermarket! Dr. Oetker Ristorante pride themselves in delivering “the real Italian pizzeria taste”, specializing in thin and crispy Italian-style pizza. They deliver a range of mouth-watering varieties with quality ingredients and flavours. To explore their range of delicious flavours and pick your favourite click here. Check out the funny video below which captures the surprises of the event. This post was kindly sponsored by Dr. Oetker Australia.